The skins are based on The Sims 4’s Llama superhero suits. Final Fantasy 15’s Windows Edition will get a The Sims 4 crossover. Anyone who buys the Windows Edition of Final Fantasy 15 on Electronic Arts’ online store, Origin, will get two skins inspired by The Sims 4. The two outfits are llama superhero skins—of course, as llamas are a weird and recurring theme in The Sims—that can be worn by Noctis in the game’s single-player campaign and in multiplayer expansion, according to the Square Enix blog post. 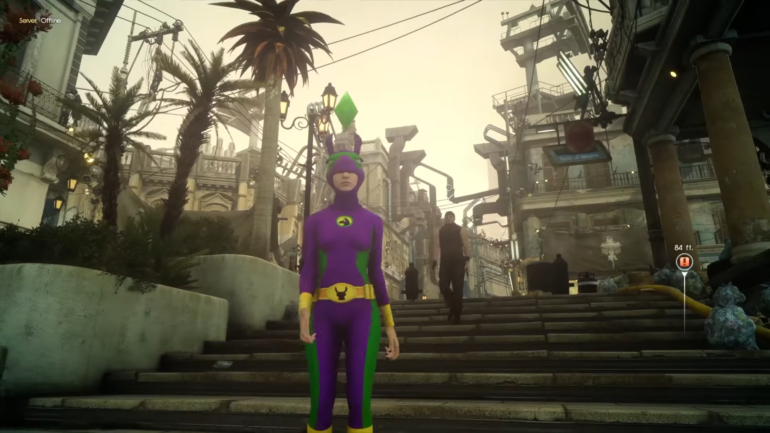 Noctis will be able to wear the red suit, while Comrades avatars can don the purple suit. Each outfit is topped with The Sim’s iconic plumbob—the green thing over sims’ heads. The PC version of Final Fantasy 15 goes on sale March 6. Buying the game on Origin between March 6 and May 1 will unlock the The Sims 4 skins for Final Fantasy 15. The Sims 4 players will also get a skin in this crossover deal: A Noctis outfit (his “prince’s fatigues”) will become available starting on March 8 for sims.